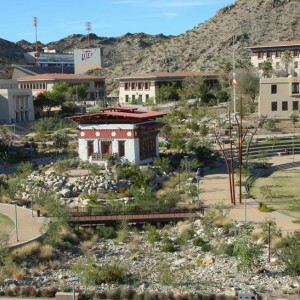 Ten Eyck Landscape Architects: The University of Texas at El Paso (UTEP) is an internationally-recognized research and doctoral university uniquely situated in the foothills of Chihuahuan Desert Mountains at the U.S.-Mexico border. 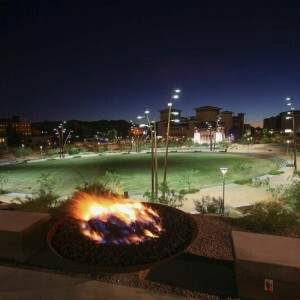 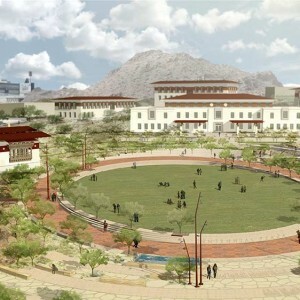 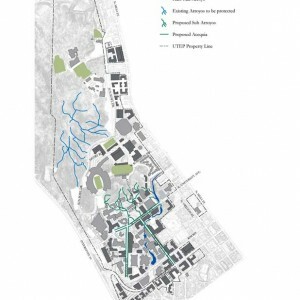 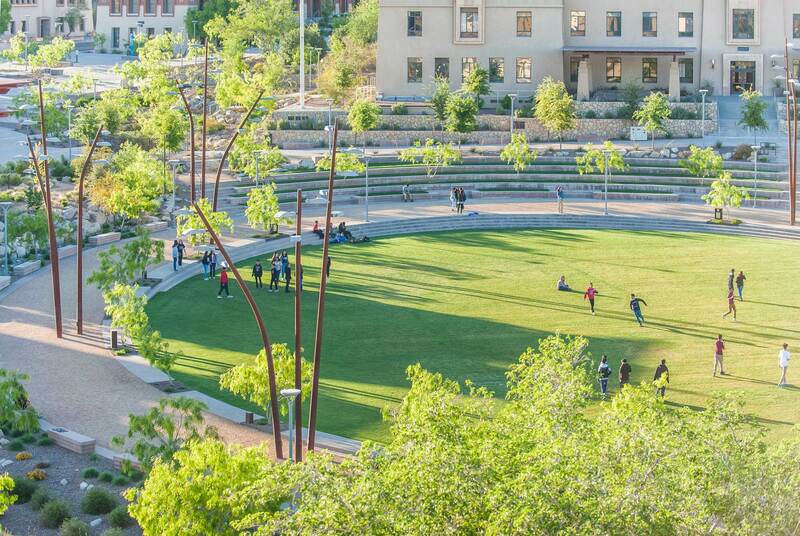 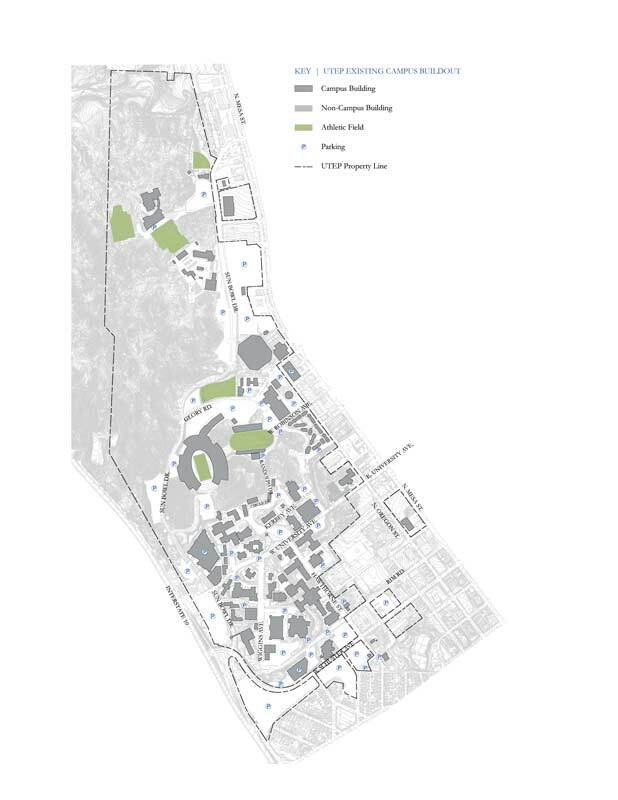 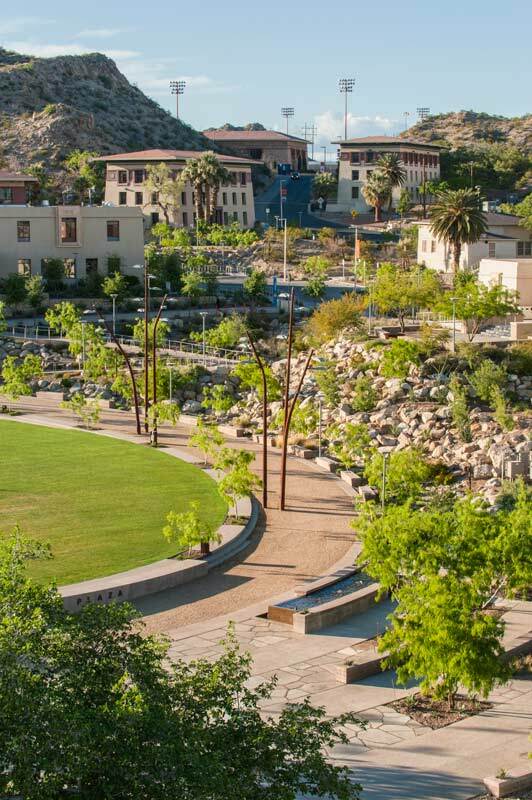 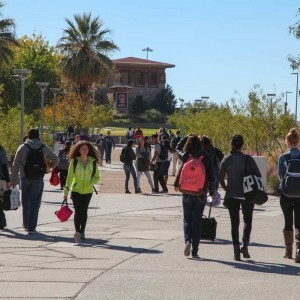 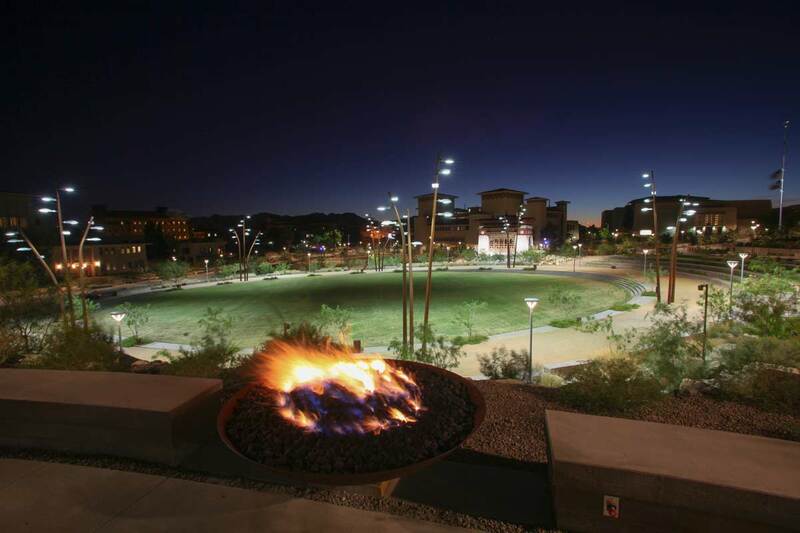 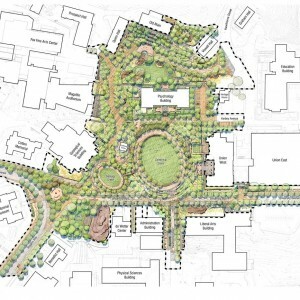 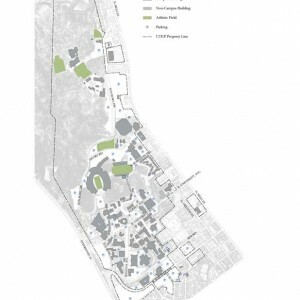 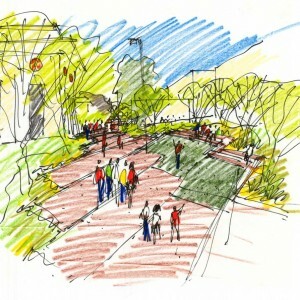 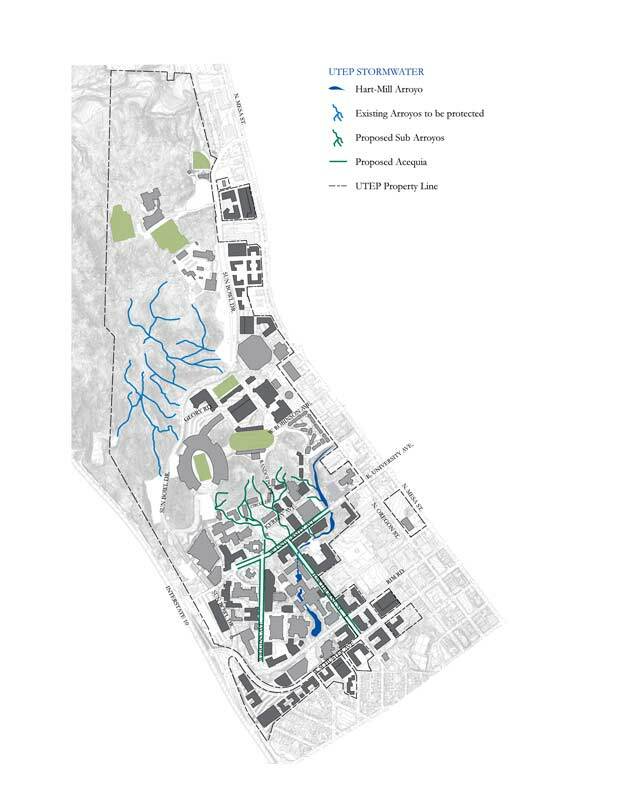 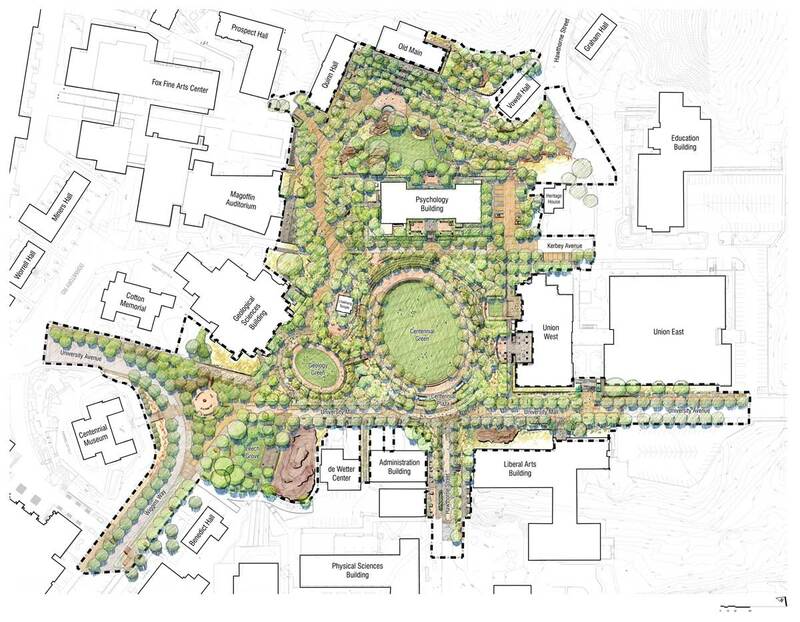 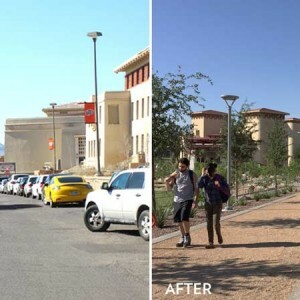 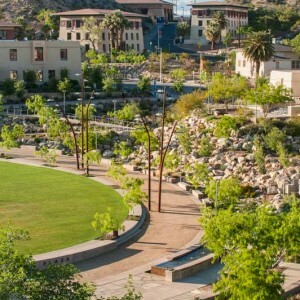 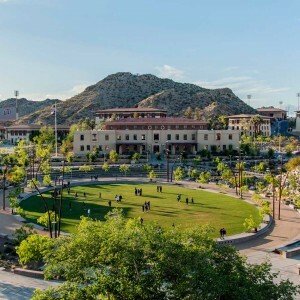 The 18-acre Campus Master Plan and 12-acre Campus Transformation Project seek to strengthen the connection between the city, the campus, and the land by converting acres of sloping asphalt streets and parking into a pedestrian-oriented landscape that promotes outdoor learning, gathering and recreation while integrating the Chihuahuan Desert into the urban fabric of the campus. 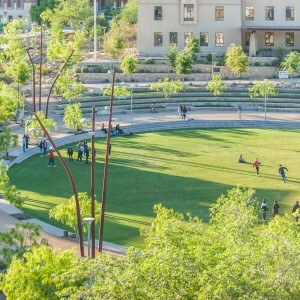 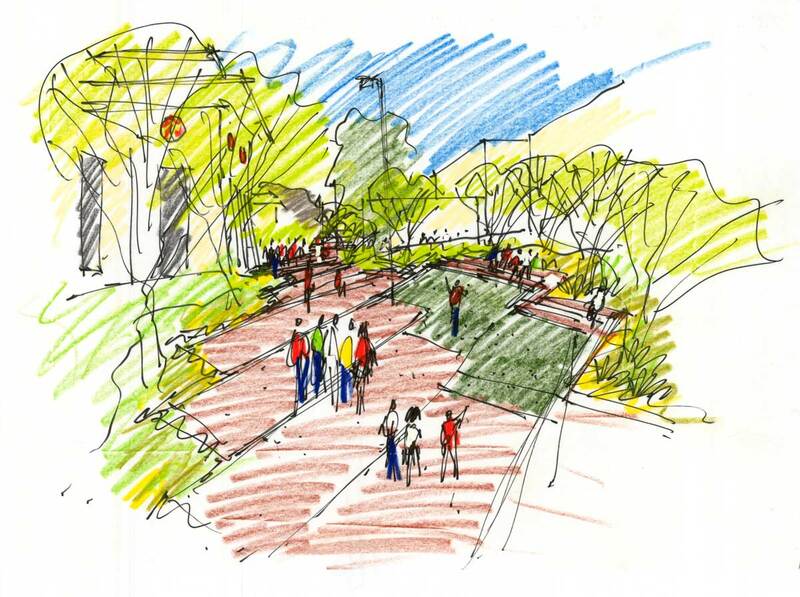 The core of the project includes Centennial Plaza and Centennial Green, richly detailed outdoor gathering spaces at the heart of campus that include a performance lawn, amphitheater, and sandblasted timeline designed to celebrate the University’s 100-year anniversary. 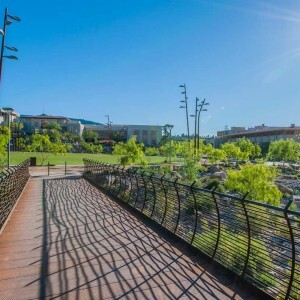 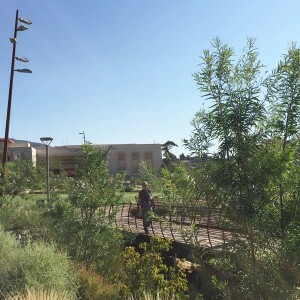 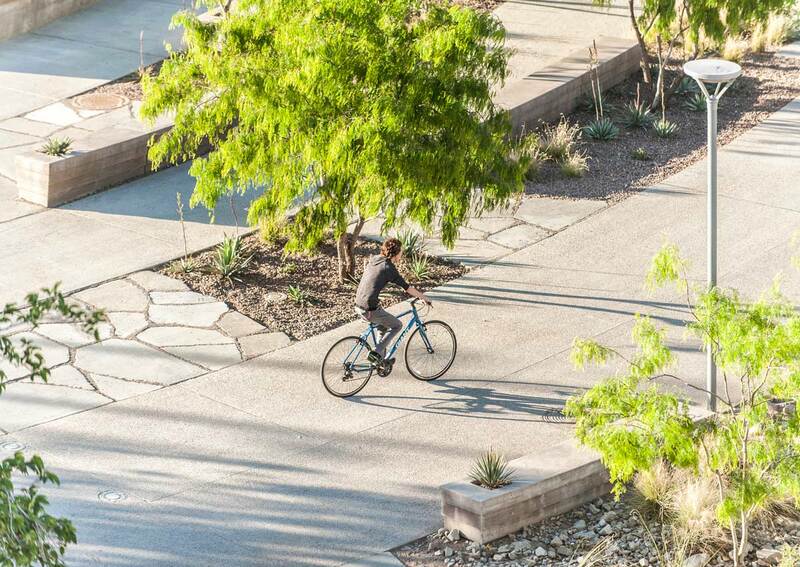 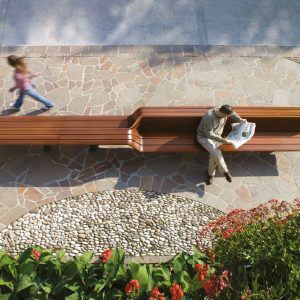 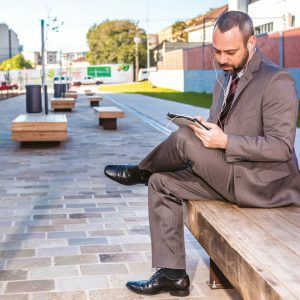 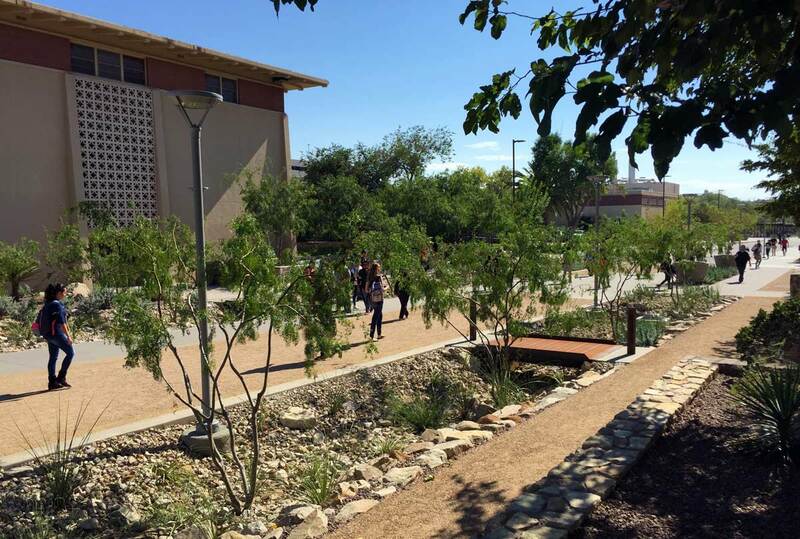 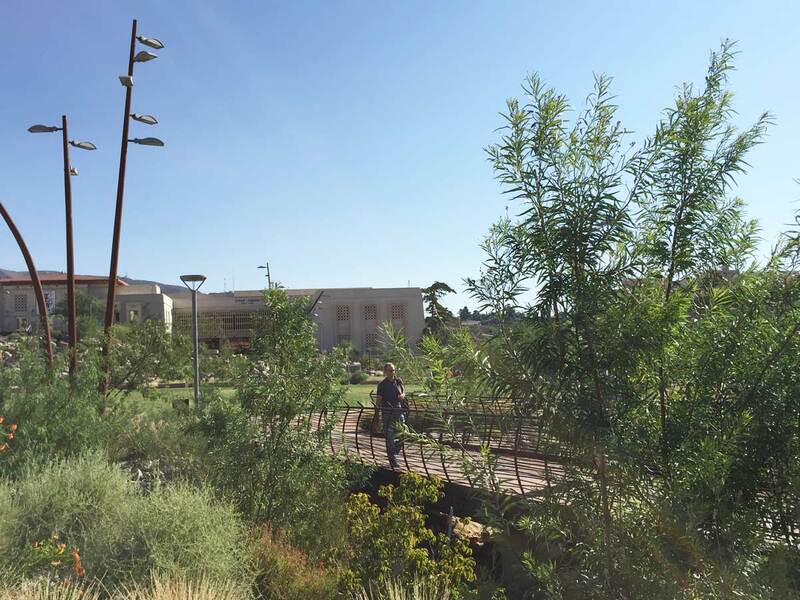 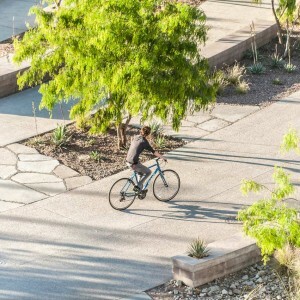 New campus malls shaded by native mesquite trees promote connectivity and extend the spirit of the core to the greater campus, linking existing buildings with new courtyards enlivened with a rich palette of Chihuahuan Desert plants. 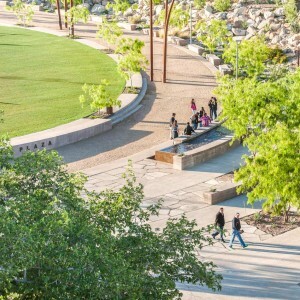 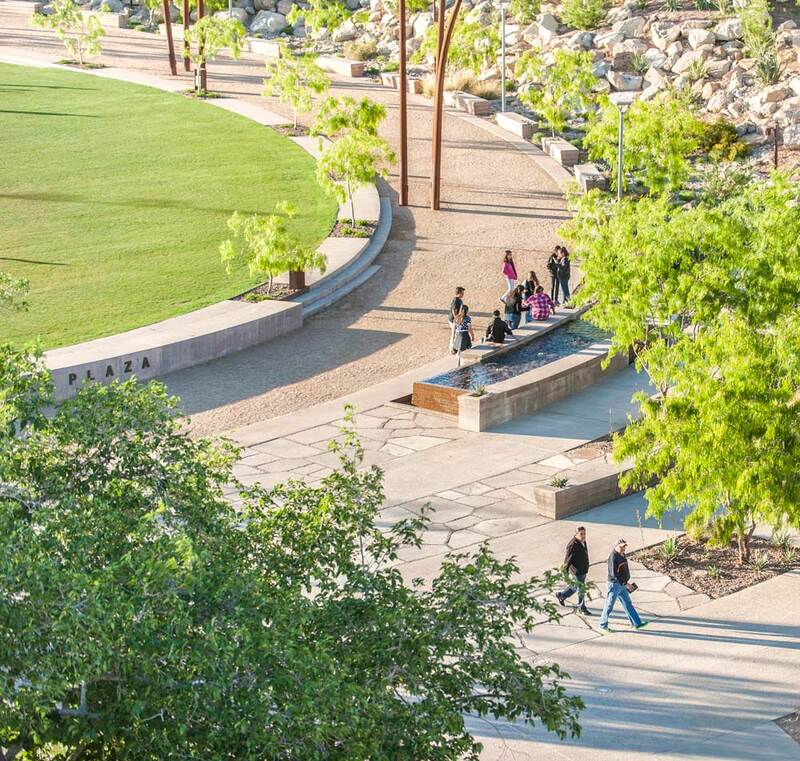 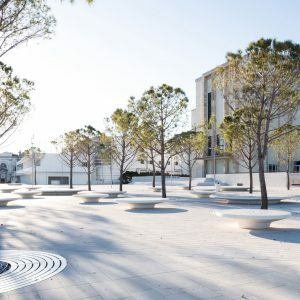 The addition of over 700 xeric shade trees mitigates the hot El Paso sun, while irrigation-fed water features in the form of seat wall seeps, fountain troughs, and stone tinajas provide further physical and psychological cooling. 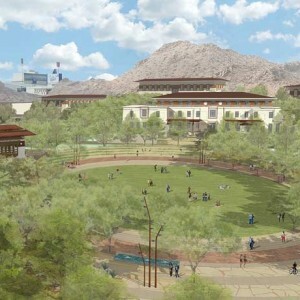 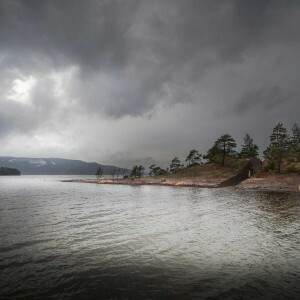 Given the site’s mountainous terrain, dramatic alterations to existing topography were required for accessibility and stormwater mitigation. 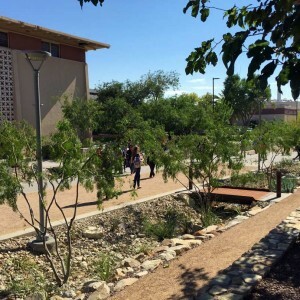 A constructed network of vegetated arroyos along campus malls now channel, slow, and filter stormwater that had previously sheeted over acres of paving to the Hart-Mill arroyo, the only remaining natural arroyo on campus. 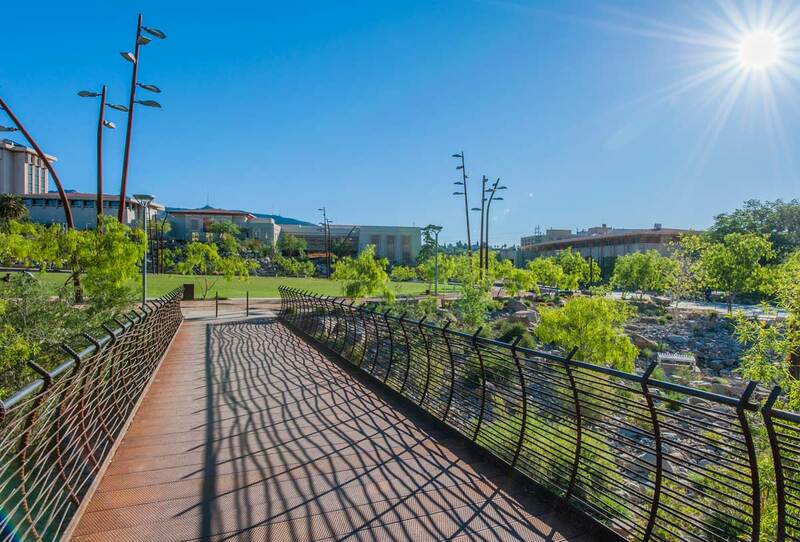 Pedestrian bridges traverse arroyos both large and small, providing the opportunity to overlook newly dramatized ephemeral rain events. 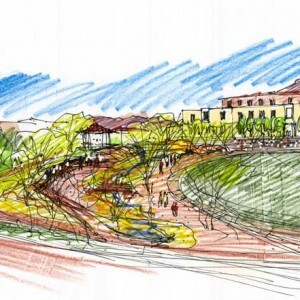 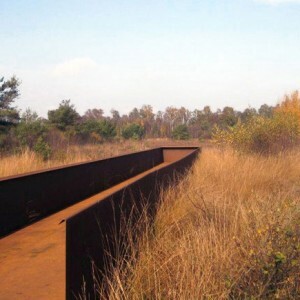 Local and salvaged materials were integrated into the site design whenever possible, both to reduce waste and to engage the site’s historical context. 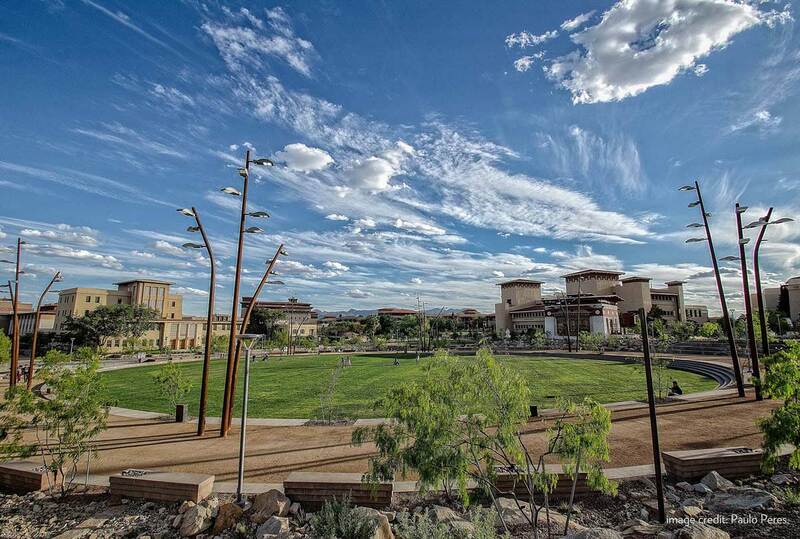 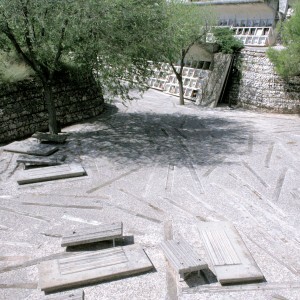 Andesite excavated during construction, which was coordinated in conjunction with a major utility improvement project, was repurposed to line arroyos and to form the retaining walls for terraced campus spaces. 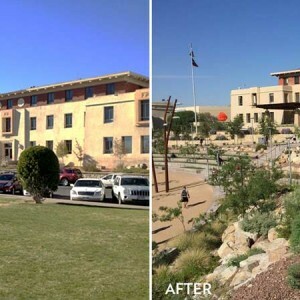 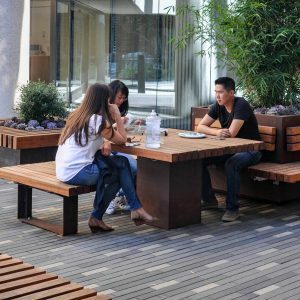 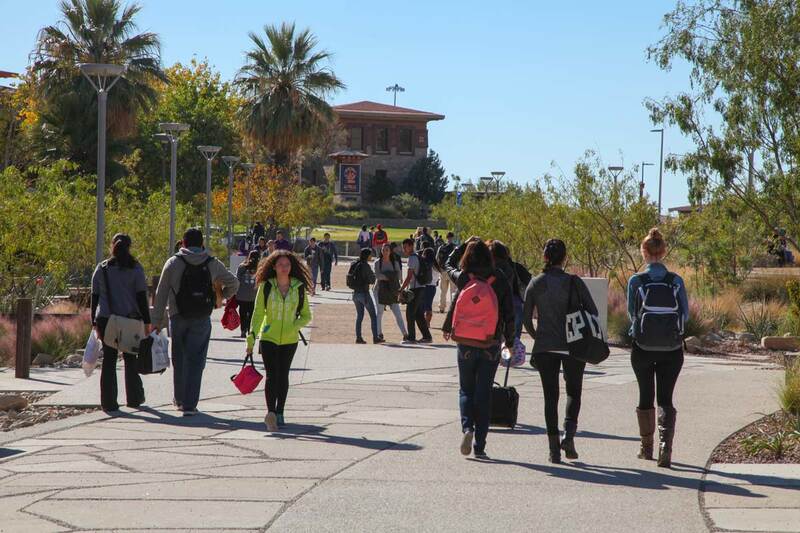 Similarly, concrete salvaged from old campus sidewalks was repurposed in Centennial Plaza, welcoming students and El Paso residents into the transformed campus. 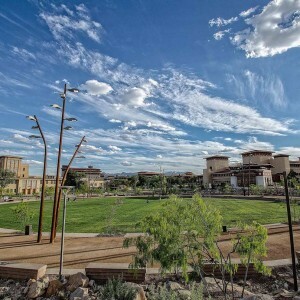 The project team’s commitment to human comfort and connectivity, native ecology, stormwater mitigation, and progressive building practices has allowed the project to pursue Sustainable SITES accreditation. 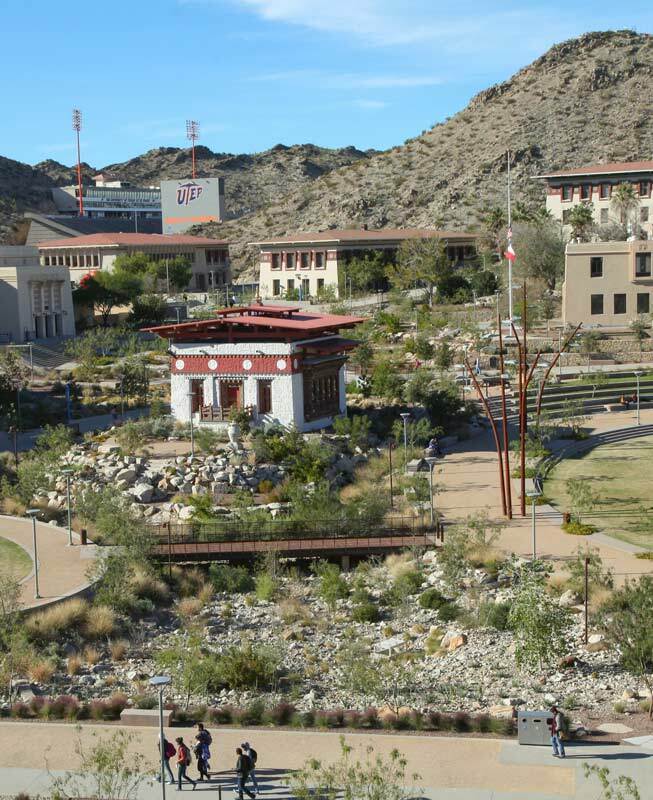 The project represents the UTEP’s innovative spirit and bolsters the campus as a model of sustainability for desert climates.